The Southwest USA is filled with red rocks and natural wonders that look like they'd be from a different planet. It's amazing how beautiful our world is. Within the USA alone you can go hiking through pretty much every terrain imaginable. While lush forests are the first to come to mind when you think "hike," you may (or may not) be surprised that the only plants you'll see on Phoenix hikes are wispy trees and cacti. 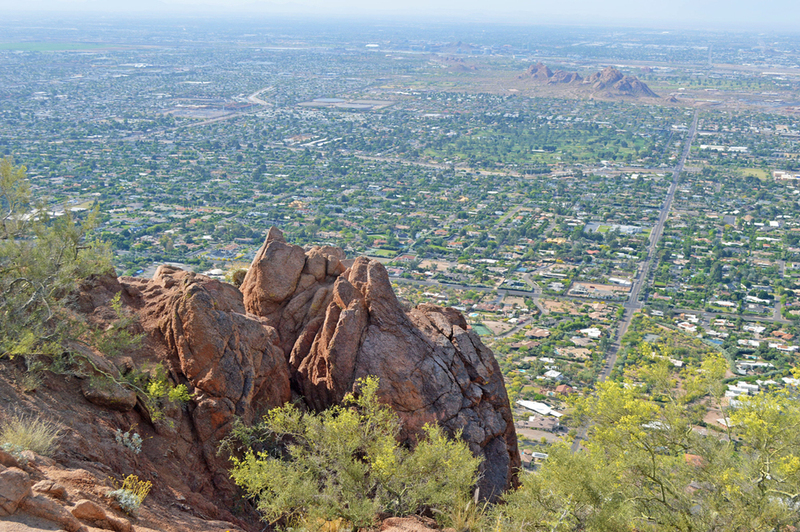 Three fun Phoenix area hikes include Camelback, Papago, and Pinnacle Peak. Phoenix's most popular hiking spot is Camelback. Situated next to Downtown Scottsdale just northeast of Phoenix, it provides easy access in terms of getting there from anywhere in the Phoenix area, especially if you're staying in Scottsdale. The Cholla Trail provides great exercise for those in shape but still provides a challenge. Echo Canyon is said to be for those more experienced. Read more about tips for hiking Camelback here. Papago is more of a rock formation that you can walk around on than a mountain and is a great spot for checking out views of Downtown Phoenix from afar.While the address is technically Phoenix, Papago is more in the Tempe area. Young kids and families with dogs were easily able to get around this area. Situated in North Scottsdale, Pinnacle Peak is a good spot that provides variety to hikers. Parts of the trail are more flat, parts of it are steep, and there are good lookout points along the way. 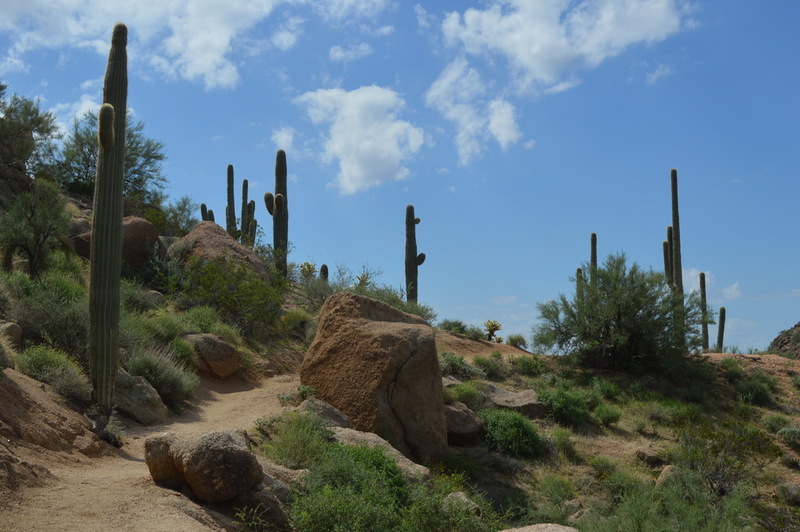 If you're in Phoenix from out of town, you'll love all the cacti scattered up close around the well-maintained trail. The intensity varies at times - while you definitely get more of a workout on Pinnacle than Papago, it's not as difficult as the Cholla Trail on Camelback.